Golf Digest 50 Best Teacher Mark Blackburn has spent 15 years teaching on tour, helping players shape that talent into competitive success. In this five-lesson series, Blackburn will show you how you can "hack" the improvement process that great players follow and get some of the results they do—even if you aren't a world-class athlete. In these videos, Blackburn will demonstrate how the pros maximize distance off the tee, control their irons shots and stick their wedges. He’ll also explain how they recover, specifically from the rough and when they need a soft shot around the green. 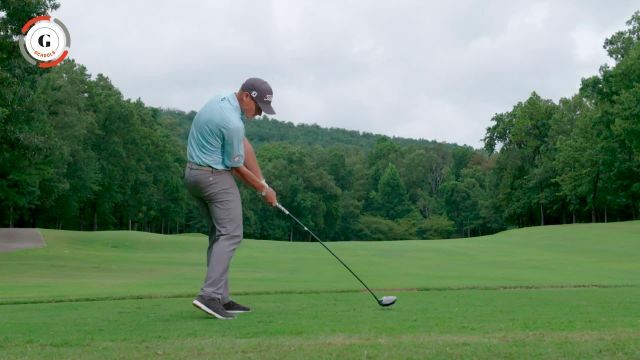 Even if you can't swing the club 125 miles per hour like Dustin Johnson and Cameron Champ or hit a towering 3-iron that checks up on the green, you can maximize your skills with some simple setup and swing hacks. With Blackburn's help, you'll be adding a little more tour player to your game, even if you don’t have logos on your sleeves or your name stitched on your golf bag.